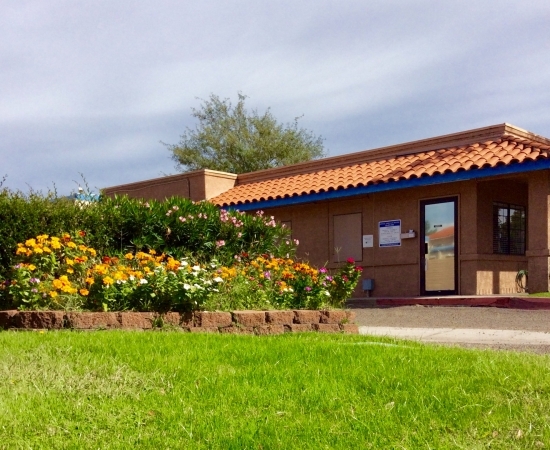 Prince Self Storage in Tucson offers quality storage in a safe and secure facility. Our units come in a wide variety of sizes and most all have convenient drive-up access. Our facility is fully fenced and protected by security cameras. Our onsite management is always ready to help. Nice place, and great customer service. I got to the storage unit and the lady at the front desk was extremely nice and understanding. I love how the code is not so simple so not that many people can sneak in. The storage units are also great. I would recommend to a friend in the near future. The stuff and owner were really nice. And easy to work with. It was somewhat frustrating because the computer system had just been changed and no one seemed to know how to use it. It took several visits to the office and only 1 out of 3 people knew how to work the system and she came in late. It did not give us much confidence in the way the facility is run. The people were friendly and very professional with me. They answered all of my questions and concerns with caring proffesionalism. Went to the facility to check in, but the computer was down. They got me entered in anyway, and I was able to start using my unit that day. Excellent service.